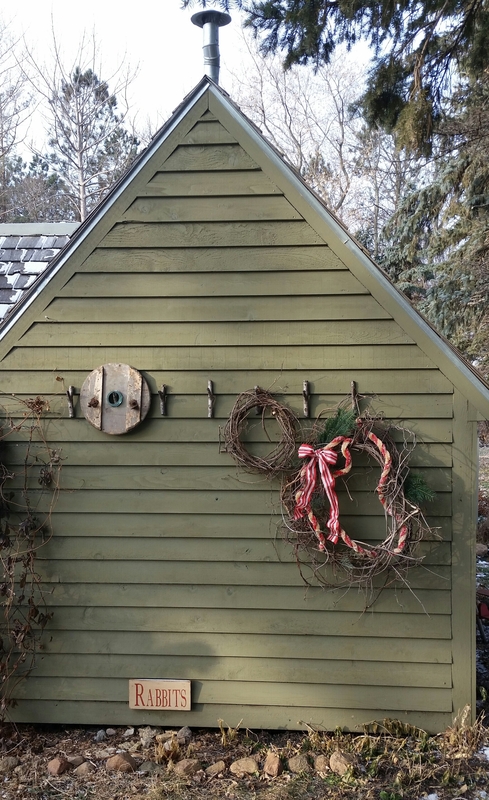 Rabbit Run Cottage will be getting some Winter touches this week. 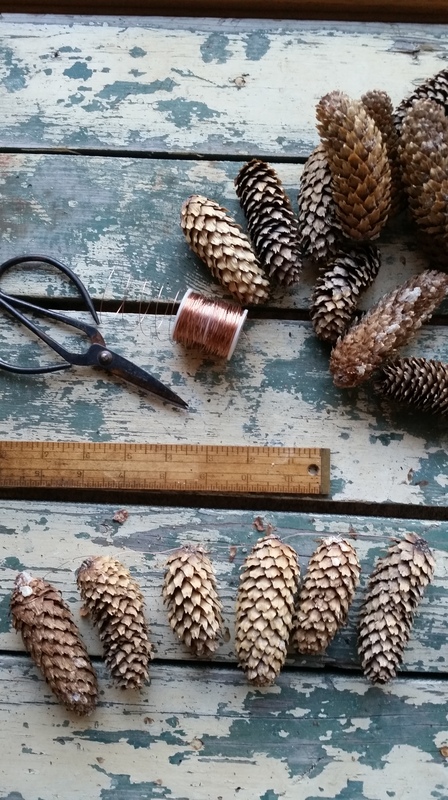 Wrap thin copper wire around the tops of pine cones to create garland. Nature makes the best decorations! December 13, 2013 December 13, 2013 Categories Uncategorized6 Comments on Noun or Verb? Wonderful words for the season. Each year I try to time the Amaryllis bulbs to open as close to Christmas as possible. This bulb just began to show it’s pretty holiday red color…maybe this is the one for this year. I tucked the pot into a vintage grain sack sleeve.